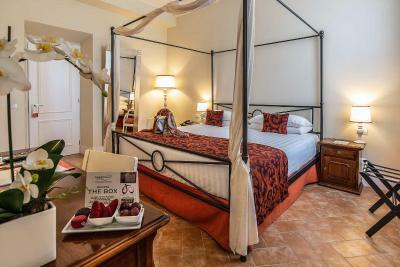 Lock in a great price for VOI Donna Camilla Savelli Hotel - rated 9 by recent guests. Beds and pillows great. Loved old world feel and considerate staff. 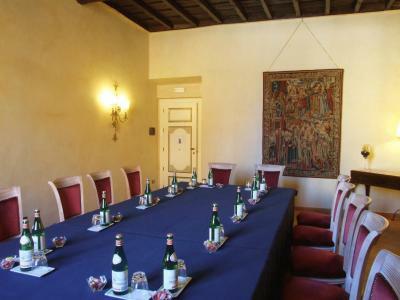 Excellent location, close to great restaurants frequented by locals. 20 minutes walk to the Vatican or Colloseum. The breakfast area is far too small and cluttered.Also thought should be given to creation new lobby area. 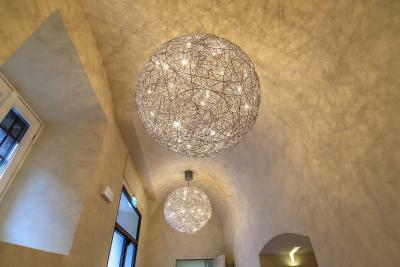 A charming hotel, way exceeding our expectations of a central Roman hotel. 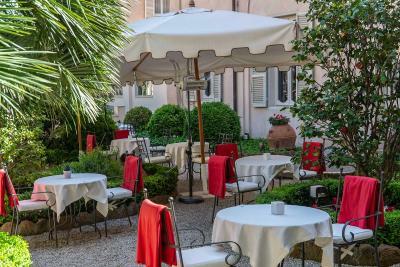 A beautiful and historic building, a former convent, which seemed appropriate for a visit to Rome, our room overlooked the enclosed courtyard garden (which had originally been the convent cloister). 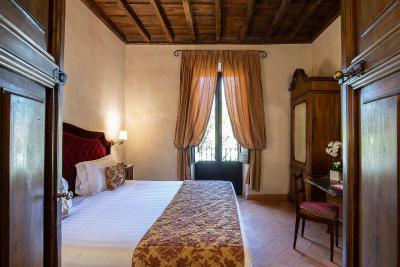 Very comfortable, quiet and a haven that was perfect after the crowded city attractions and their large tour groups. Plenty of local restaurants and bars for evening entertainment, in an area that does not charge the earth. Breakfast was a treat. Would recommend and go back. the style of the hotel, the staff and the location. Beautiful tradition and professional service. Good breakfast, friendly reception. 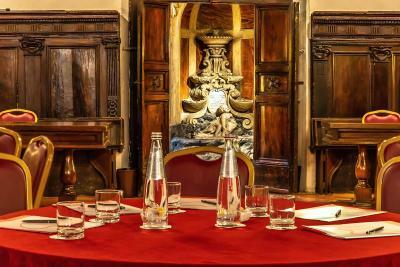 The best place in Trastevere. 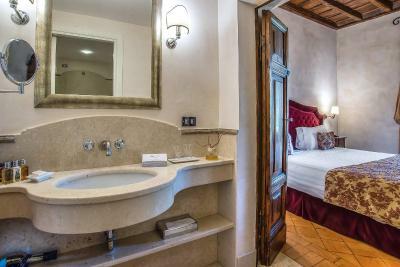 Very large comfortable bed, very clean room, window that you could open, lovely view onto garden, big bathroom, generous good quality bathroom products, Lovely breakfast. Beautiful courtyard garden to have a drink in. Hotel offered use of a free hotel mobile phone , already set up to save you using your own outside the hotel. Really good idea. Free welcome drink- no strings. 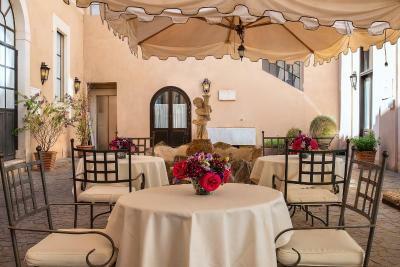 Elegant, atmospheric hotel in peaceful location, with wonderful views. 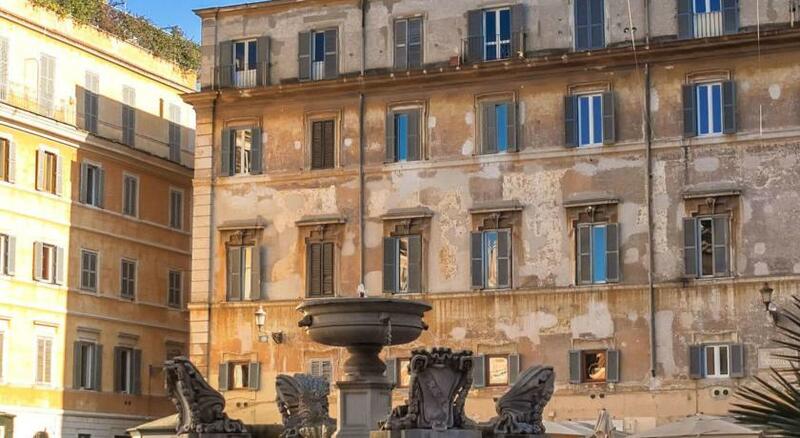 Designed by Baroque architect Borromini, the Donna Camilla Savelli is a former monastery in Rome's popular Trastevere area. 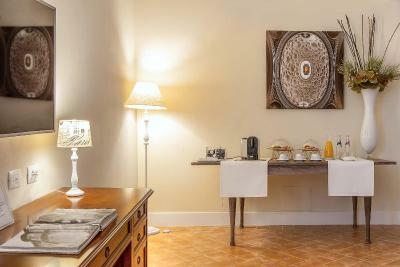 It offers a garden, elegant and sober rooms, and free WiFi throughout. 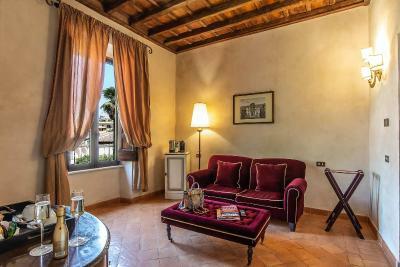 The property dates back to the 17th-century, and features exposed wooden beams on the ceilings and precious stuccoes. 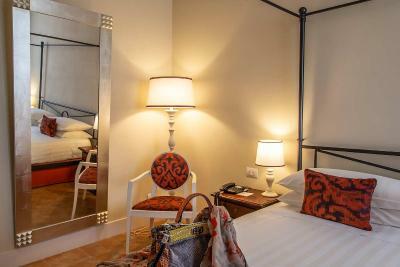 Rooms are air-conditioned and offer an LCD TV with satellite channels. 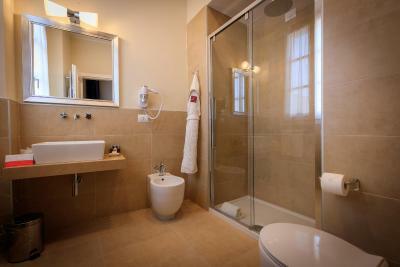 The en suite bathrooms are complete with bathrobes and slippers. 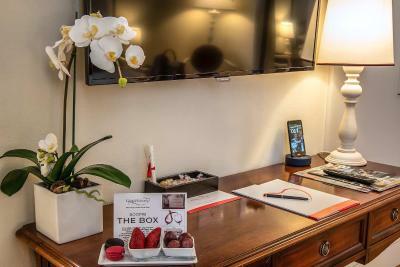 Some rooms include the use of a smartphone with free calls in Italy and other European countries, Hong Kong and the United States, and free internet connection. 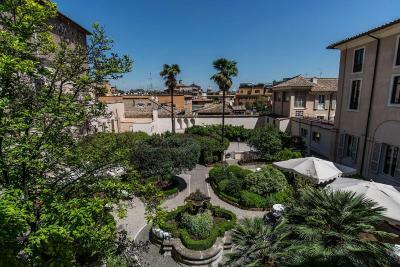 The terrace at the Camilla Savelli offers views of the Eternal City. The inner garden is complete with patio. Breakfast is a varied buffet including sweet and savoury items, and vegan products. During summer, it is served in the garden. 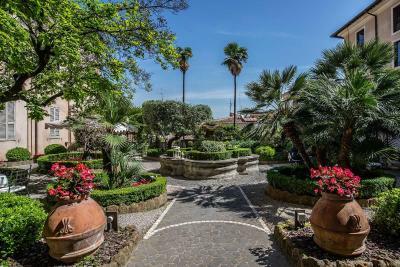 The surroundings of this 4-star hotel include historic buildings, traditional Roman squares, and cobblestone-covered streets. 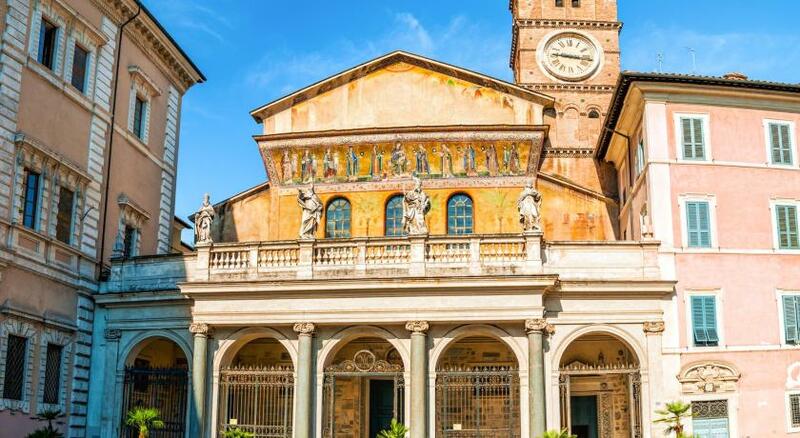 The famous square outside the Church of Santa Maria in Trastevere is a 5-minute walk away. The Vatican is a 10-minute walk along the banks of River Tiber. The historical centre of Rome is just across Sisto Bridge. 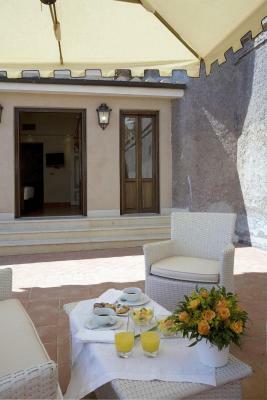 VOI Donna Camilla Savelli Hotel has been welcoming Booking.com guests since 21 Oct 2009. 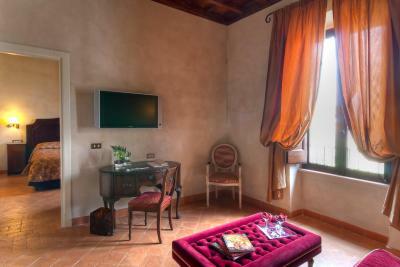 When would you like to stay at VOI Donna Camilla Savelli Hotel? 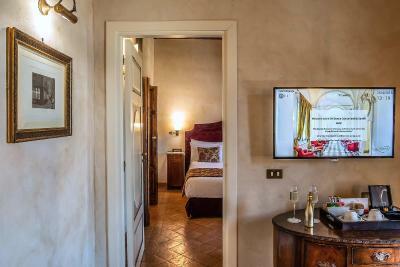 Air-conditioned room with a satellite LCD TV. 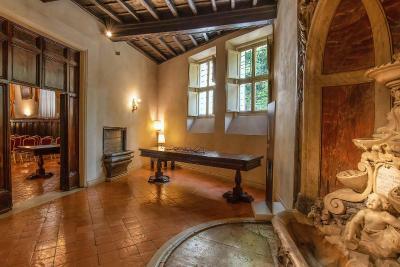 Features antique furniture and a marble bathroom. Offers views of the garden. 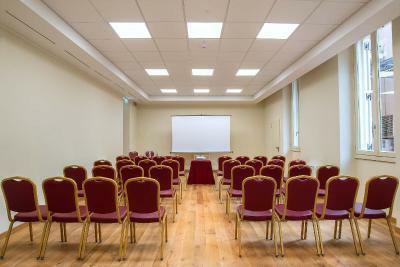 Spacious, air-conditioned suite with a satellite LCD TV and a seating area. 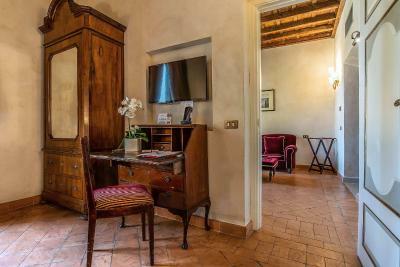 Includes a daily newspaper in the room, luxury amenities, and a copy of the hotel Savelli's guide book on Trastevere. Air-conditioned room with a satellite LCD TV. Some units are located in the annex, 20 metres from the main building. 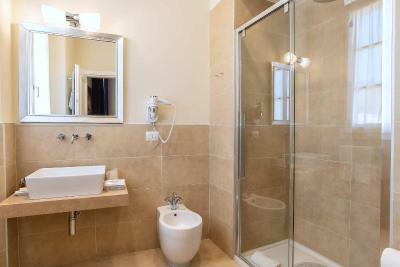 This larger room features air conditioning and an en suite bathroom. 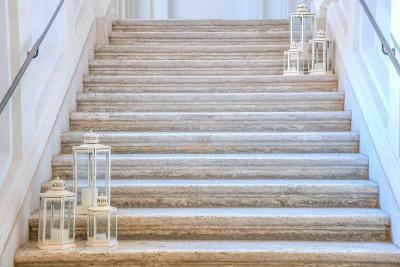 A corner of tranquillity in the heart of the eternal city. 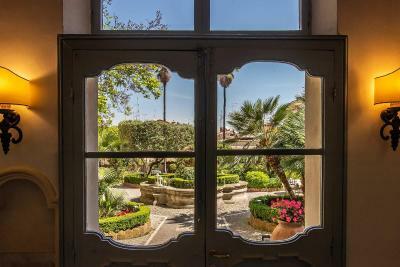 Hotel surroundings – This neighbourhood is a great choice for travellers interested in food, city walks and culture – Check location Excellent location - show map Guests loved walking around the neighbourhood! House rules VOI Donna Camilla Savelli Hotel takes special requests - add in the next step! VOI Donna Camilla Savelli Hotel accepts these cards and reserves the right to temporarily hold an amount prior to arrival. Need to churn out the coffee a bit faster at breakfast. Rooms not well appointed. Temp control missing. Staff are very hospitable. Foid is good. 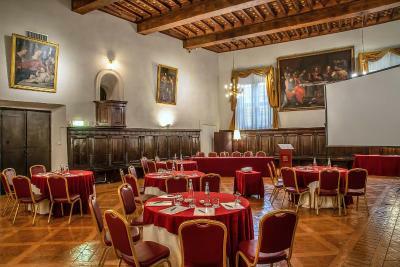 Perfect location, really nice facilities and rooms! Nois from The street at night. The hotel was serene and beautiful. I really enjoyed the breakfast (delicious!) and the bed was perfect. The hotel was also well located for sight-seeing, as it was just across the river from major sights. Nothing, only 15 mins walk from main tourist sites, but if 15 mins walk a little scary public transport a bit thin on the ground.